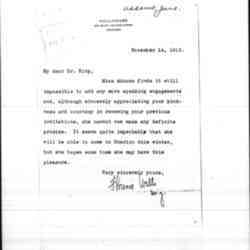 Norton thanks and acknowledges receiving the peace plan by Logan. 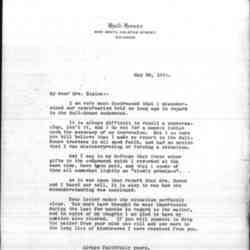 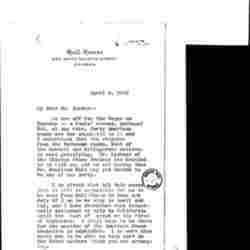 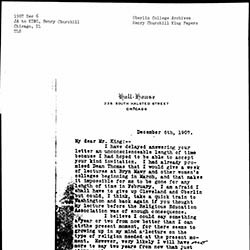 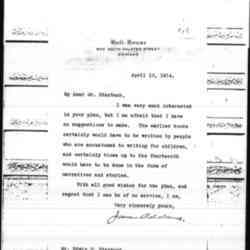 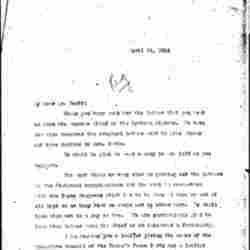 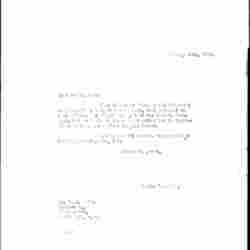 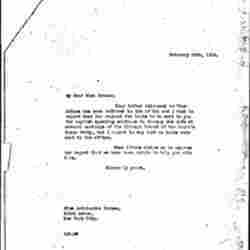 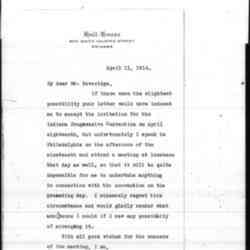 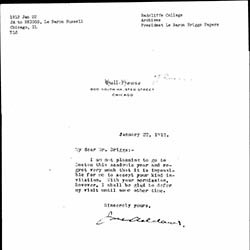 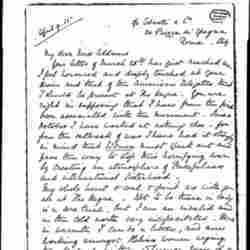 Norton replies and thanks Burtt for the letter he sent on behalf of the Pythian Organization, and discusses matters of peace leaflets. 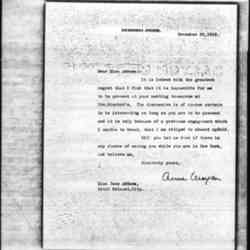 Morgan sends her apologies for being unable to attend a meeting with Addams. 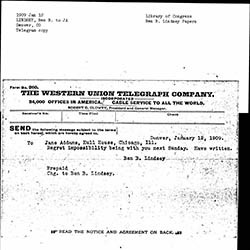 Lindsey sends Addams his regrets that he is unable to attend the meeting in Chicago. 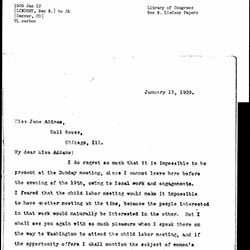 Lindsey sends Addams his regrets that he will be unable to attend the meeting in Chicago. 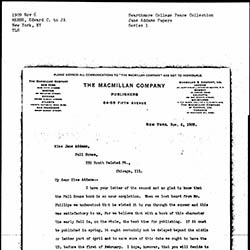 Marsh writes Addams to explain Macmillian Company's desire to publish Twenty Years at Hull House in the fall and to expresses dismay that copies of The Spirit of Youth and the City Streets to Chicago were delayed. 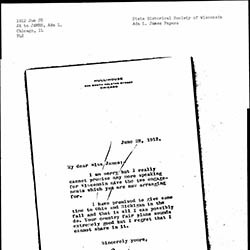 Karsten informs Park that the Woman's Peace Party does not have the funds to carry out his plans. 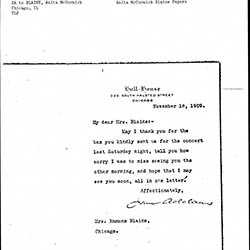 Hobhouse apologizes to Addams for not being able to attend the International Congress of Women at The Hague, but she will continue to advocate for peace in Italy. 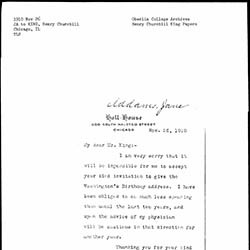 Dalrymple apologizes to Hamlin for sending her parcel to the wrong address. 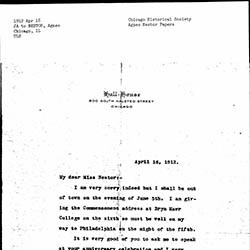 Addams declines Nestor's invitation to speak at an anniversary celebration, writing that she will be on her way to Philadelphia at that time. 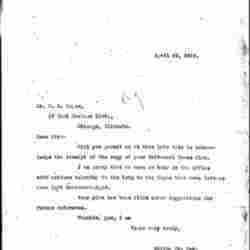 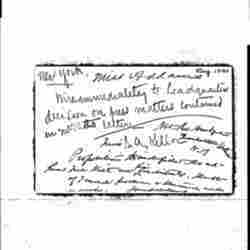 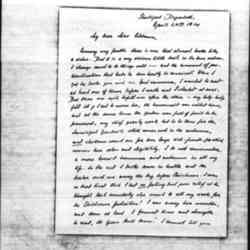 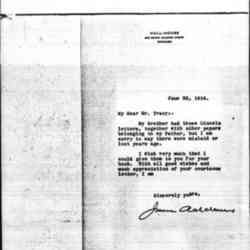 Addams did not receive an initial letter from Martin but promises to help in the future. 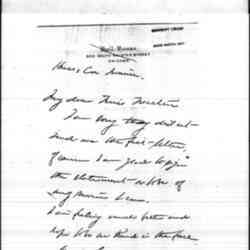 Addams writes Carment that a previous engagement will prevent her attendance at Carmen's event. 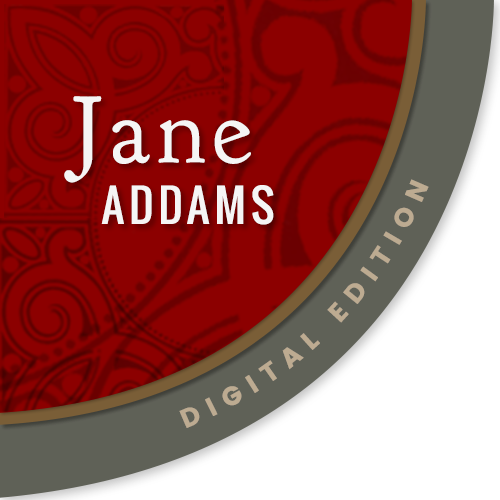 Addams notifies Jordan about a trip she is going on to the Hague and hopes she can visit him in August. 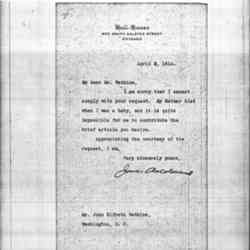 Addams declines Cooke's invitation a second time. 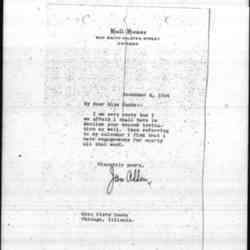 Addams replies to Kellor's request to wire her. 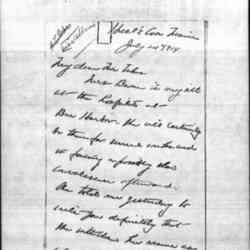 Addams tells Tracy that her family misplaced letters to her father from Abraham Lincoln letters. 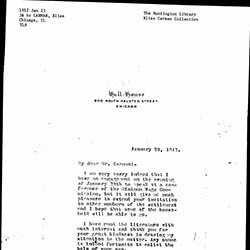 Addams inform Ickes that Bowen must take herself out of the running for county commissioner because she is seriously ill.
Addams writes King, agreeing to speak at the the Religious Education Association in Washington, D.C., but suggesting that they postpone her lecture until next year. 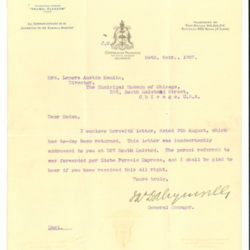 Addams is unable to write an article for Watkins because her mother died when she was a baby.